Last week, the changes to the GetOutThere and CommuteOutThere kits was highlighted. This week, it’s on to the StayOutThere which received the most updates for 2012. 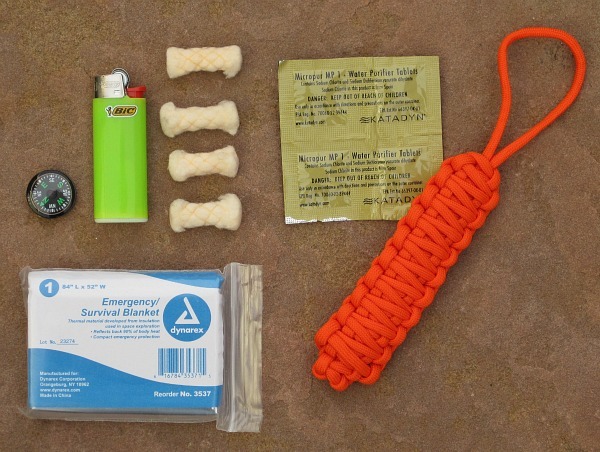 The kit contains more first aid items, an optional refill kit, and a redesigned survival add-on. As mentioned last week, all kits are now available with or without the included refill kit. Originally, the inclusion of the refills was one of the key highlights of the OutThere kits. It was included to make sure that you could use the items in the kit and have replacements on hand to restock what was used. After a lot of thought (and probably too much analysis), I decided to offer the kits with or without the refill for two reasons. Without the refill kit, the cost for a kit comes down and there are no excuses to not be prepared when you ride. 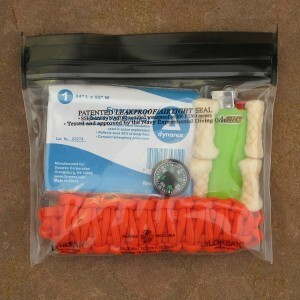 The base price for the StayOutThere kit is now $35.00. Give people a choice. Personally, I like the idea of the refill option because you have items on hand to replenish your kit once you use an item. Maybe I’m off base on my thoughts. I don’t know if others agree with me and by offering the choice, I guess we will find out. The feedback on items to include for the StayOutThere and GetOutThere kits was right and my original version of the products was not adequate. The first aid items now include 4 anti-histamine tablets and 4 gauze pads. No first aid, emergency, or personal care items were removed from the kit. 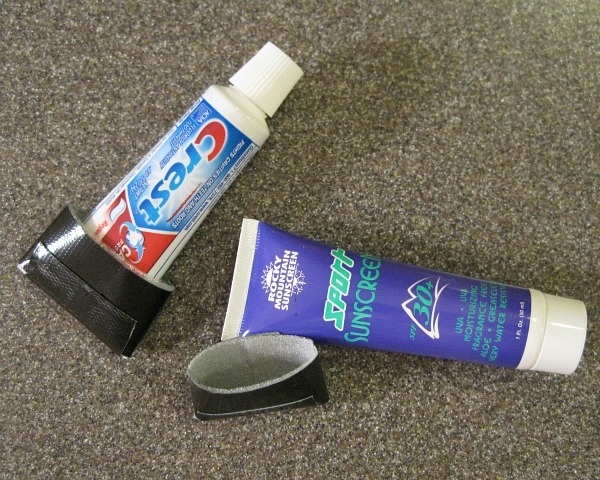 A protection sleeve has been added to the bottom of the sunscreen and toothpaste tubes. Previously, I tried to round the edges and file them down but they were still sharp and I was worried the edges could puncture the ALOKSAK bag. After obsessing about this for probably too long, a combination of packing foam and Gorilla Duct Tape proved to be the solution. MacGyver saved the world with duct tape so it should work for protecting the ALOKSAK. I’ll admit that I like these little sleeves more than I should, but they solve a problem, even if it was a small detail that was the problem. The time it takes to hand make each one is worth it if the ALOKSAK is protected and the kits last longer. The survival add-on was completely redesigned to be more functional at a lower price. Firestarter replaced with a mini Bic lighter. The lighter is easier to work as long as it stays dry and the ALOKSAK bag keeps it dry. The firestarter vs. lighter debate is one that will go on forever (kind of like Shimano vs. Campy), but I’ve decided to go with the lighter. Mike Clelland has some good insight into this debate in his new book “Ultralight Backpackin’ Tips“. If you prefer the firestarter, you can always add your favorite one to the kit. Another benefit of using the lighter is that the cost of the add-on can be reduced to $10.00 while still providing firestarting capabilities. Signal mirror was replaced with an emergency blanket. The blanket can provide warmth in an emergency and can also be used as a signaling device or a make shift shelter if needed. It’s always nice to have an item that is multi-purpose. The 10 feet of paracord is now tied using a King Cobra knot instead of being coiled. This makes the cord flatter and allows for enough room to include the emergency blanket. Plus, it has a nicer look than the old way of wrapping the paracord. Items that remained the same are the button compass, 4 water purification tablets, and 4 Tinder Quik firestarting tabs. With these changes the add-on kit provides firstarting, shelter, signaling, navigation, and water purification in 4″x5″ Aloksak bag. 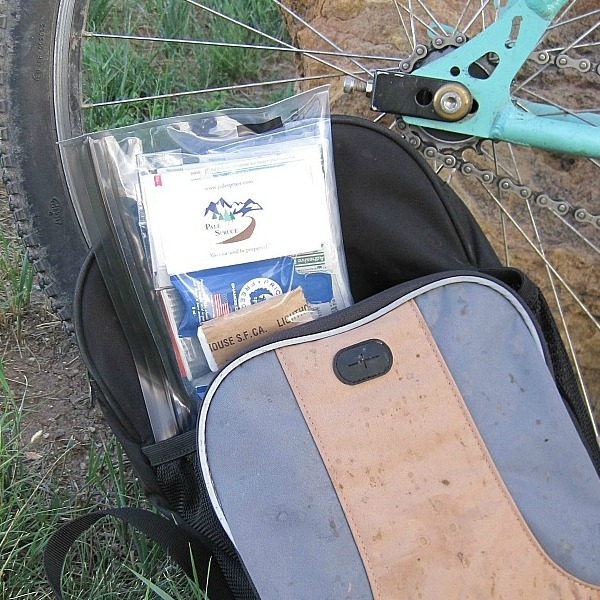 With these changes the StayOutThere kit is even better at keeping you prepared on your overnight bikepacking or touring trips. If you have any feedback on the changes or other items you would like to see in the kit, please leave a comment or contact me directly. Hopefully by next week, I’ll be ready to show off a new paracord product. It’s a new take on the paracord bracelets that so many people are making these days.